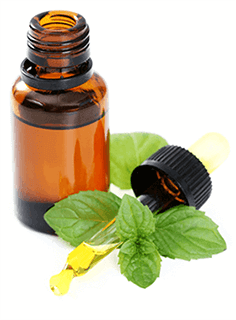 Join Dr. Z’s Essential Oil Club to Learn How to Use Essential Oils the Right Way Once & For All! JOIN OUR NATURAL LIVING FAMILY! I just wanted to say a HUGE thank you Dr. Z and Mama Z for the inner circle and the work you are doing. I’ve been using EOs for 3 years and have detoxified my home from chemicals, my first aid kit is my oil collection and our family health has improved, mine especially as I have several health issues and allergies. I’ve also been sharing the benefits of oils but this hasn’t been easy, however the evidence based literature you provide is making this a whole lot easier. Dr. Z, you write in an easy to understand manner and I love that everything is evidence based. Mama Z your recipes and DIY are awesome. I’ve learned so much from you both and I’m helping more and more people do the same! Do you suffer with depression, pain, autoimmunity, cancer or gut issues? Do you want to learn how to use essential oils but are confused how to use them? Do you love essential oils but are not sure how to use essential oils correctly? Do you love to DIY (do-it-yourself) and have an insatiable craving for that next great idea, recipe or tip? Are you pretty familiar with how to use essential oils and are ready to take you knowledge to the next level? Are you a networking marking distributor with a desire to educate your customers and downline about how to use essential oils the right way? If So, I Have Created a Place Just for You! PLUS, New Videos, Tutorials & Articles Added Every Single Month! That’s $1214.00 of Instant Value! Choose the Membership Best for YOU! We stand behind this bundle with our 60-Day No-Questions Asked Customer Delight Promise. Your delight is our priority. As natural living, faith-based parents of 4 children, Mama Z and Dr. Z place a high value on choosing only the best products for their family. 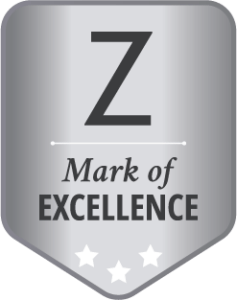 They proudly call it the Z Mark of Excellence. They encourage (and expect!) you to do the same. It’s no different with Dr. Z’s Essential Oils Club. Your purchase of Dr. Z’s Essential Oils Club is protected by our Z Mark of Excellence and gives you a FULL 60 days to use the resources and see the difference. If, for any reason, you feel this library of resources isn’t perfect for you, email us within those 60 days and get your money back. No questions asked. I love having an easy access resource that I can ask questions and research without someone trying to sell me something. The depth of info available is fantastic! I love that I can ask a question here without worrying so much about compliance. I recently asked a question about oils and natural remedies that I can use after my surgery next month and got so much helpful information! Thanks for this club. 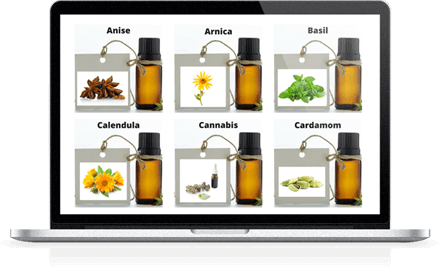 Get access to the most comprehensive non-branded database on essential oils on the web! 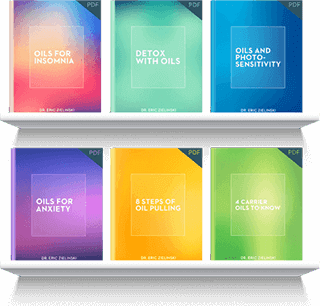 You’ll benefit from years of Dr. Z’s evidence-based research about how to use of Essential Oils, distilled for you in an easy to access format perfect for beginners to advanced. 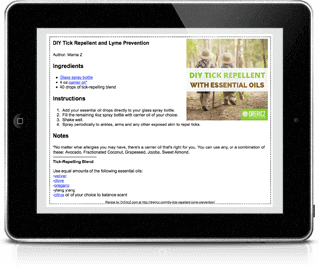 You simply won’t find this level of comprehensive essential oils data, in one place, anywhere else! And… it’s non-branded, so no matter which oil brand is your favorite, the information contained in the “Discover the Oils” section of the Club applies. Discover new ways to add the amazing benefits of essential oils to your life! The “Application & DIY” section of the Club is packed with proven formulations, easy to follow do-it-yourself (DIY) recipes and how-to guides so you can learn how to use essential oils safely and effectively. Want to learn how to use essential oils to sooth a fussy baby? We got that! Want an effective flea and tick repellent for your pet… that is safe for the rest of the family? We got that! Want to light a little spark between you and your significant other? We got that too! Get On-Demand Access to Over 100 (and growing) expert interviews and do-it-yourself demo videos! Over 265,000 people benefited from the world renowned experts featured in the Essential Oils Revolution 1 and 2… and the entire video library can be yours to access anytime in the Essential Oils TV section of the club. 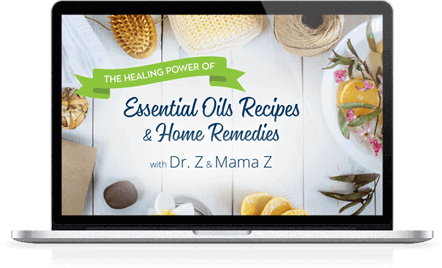 Also included is the growing collection of DIY tutorials featuring Dr. Z and Mama Z as they show you how to use essential oils at home for the entire family and make their favorite healing home remedies. Get Access to ALL of Dr. Z’s Essential Oils, Health, Healing and Living the Abundant Life e-Books! Plus… you’ll also find downloadable recipes, diffuser blend cards, informative white-papers and easy to access information to teach you how to use essential oils that you can download or print – so you can access what you need, when you need it, online and off! Get Connected with Dr. Z and Fellow Essential Oils Enthusiasts from Around the Globe! Community & Connection are at the heart of the Essential Oils Club Inner Circle. You’ll be able to connect with Dr. Z and his team as well as essential oils enthusiasts from around the world in our Private Facebook group open ONLY to the Inner Circle. But… that’s not all! Each month Dr. Z will hold a special live, video Q&A session where he will answer your specific questions about how to use essential oils and live the abundant life. These monthly sessions are archived and searchable by the topics covered, so you can return to them again and again. Chance to Get UNLIMITED Access for Just $97! I’ve learned many things in Dr. Z’s Essential Oil Club! Really, the most important information for me, was the over use (sensitization) of oils.I’m an avid EO user and certainly don’t want them not to be effectivefor the benefits I receive from them! I love having a “go – to” place to find out which oil to use for which need. In the last few years, we have lost several close friends and family members to cancer. We wholeheartedly believe that they all would still be with us if their doctors embraced more of an integrative, evidence-based approach and didn’t push harmful conventional treatments down their throats. We were appalled to hear how their doctors literally told them that “diet didn’t matter,” and they would die if chemo/radiation didn’t work. It still grieves our hearts and we are committed to educating the world about natural, integrative options! Your purchase helps us support the Independent Cancer Research Foundation, Inc. (ICRF), a non-profit cancer research organization that educates people about natural, integrative cancer therapies (like essential oils! ), and pays for patients to receive treatments that they cannot afford. Help us send cancer patients oversees and other places where alternative treatments are either not permitted in America or out of someone’s insurance coverage! In April 2018, we have partnered with the ICRF and have sponsored our first scholarship recipient (a stage 2 breast cancer patient) to a receive a full year’s worth of non-toxic treatments, including 4 weeks of medical care in a world-renown clinic in Mexico! We will be documenting her one-year treatment plan and have a documentary coming out in 2019 to tell her story. A story of hope for breast cancer! Thanks Dr. Eric Z I love all your information, I love your website. I am treating ovarian cancer with only alternative methods and so your information is helping me from so many different angles. I gained a wealth of information thank you so much I’ve been using oil since last August I look forward to learning more and more from you thank you so much and the oils I love using them. Although the use of essential oils isn’t new, it has definitely gained a wild fanfare in recent years. More and more people are learning how to use essential oils in place of artificial fragrances in the home and on their bodies, for culinary purposes, and for health and healing. The more we use essential oils, the more we fall in love, and it’s hard to remember a time when aromatherapy was an unfamiliar term. 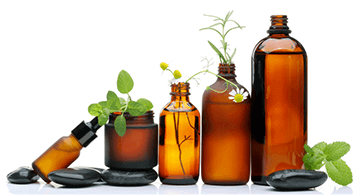 Everyone has to start somewhere, though – few of us were born into families who already used aromatherapy regularly. If you are just starting out and find yourself a bit lost in the jargon, recipes, and excitement, don’t worry. You aren’t alone. Let’s take a little bit of time here and catch you up to speed so you can learn how to use essential oils safely and effectively. Ancient civilizations unknowingly stumbled upon how to use essential oils when they first started to utilize fragrant, aromatic plants for medicine and spiritual rituals. Not realizing that these volatile components contribute to the potent medicinal power of these plants, many of the products they used in this way continue to be used today – myrrh, cinnamon, frankincense, cassia – prized for their fragrances and traded vigorously throughout the ancient world and into the development of the Western world we know today. The “spices” were burned, infused into carrier oils, and even crudely distilled into something similar to what we know as hydrosols – distilled oil that remains in the water from the process. What do each of the uses have in common? 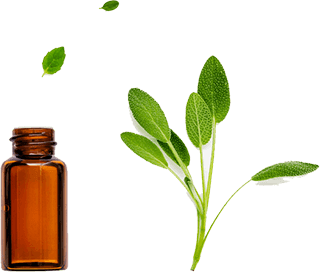 Maximizing access to the fragrance – the essential oil! More recently, people learn how to use essential oils under the guidance of the aromatherapy profession, although we have records of people using them as far as thousands of years ago. Did they have essential oils like we know them today? Of course not! Modern distillation procedures are relatively new in relation to the Earth timetable. The term aromatherapy is relatively new in our history, coined by a French chemist named Rene-Maurice Gattefosse in the 1930s. His work ultimately led to the modern understanding of essential oils as therapeutic for health and healing benefits. 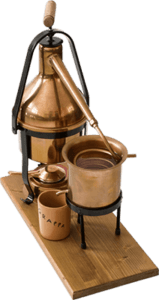 Today, thanks to pioneers such as Gattefosse, we really do have essential oil extraction down to a science, and we’re learning more all the time. The term essential oil doesn’t refer to how much we need it (though many of us argue that they are pretty vital parts of our daily lives!). In fact, the original scientific term is volatile oil, which paints a much better picture of what we’re referring to. Volatile, being the tendency to vaporize, this explains what essential oils are: the aromatic chemicals in a plant that readily evaporate during steam distillation. 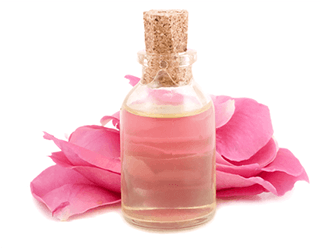 The essential oil is why you smell a rose when you lean down and sniff the blooms. It releases as you walk through the garden and shake up the plants. Contained in the bark, leaves, roots stems and blossoms of your favorite plants, essential oils are complex molecules containing broad therapeutic actions that vary based on their composition. When learning how to use essential oils, this is important to remember because chemical composition (phytochemistry, the chemistry of plants) tells us how we can best use a substance. Not only is inhalation the oldest form of essential oil use, it is also arguably the safest. Oils diffused throughout a room are relatively safe for most people in most cases due to the high level of dispersion. More direct effects can be obtained by breathing in a steam directly or inhaling right from the bottle, or from a few drops on a cloth. This carries the volatile oil directly into your respiratory system and mucous membranes, dispersed throughout the steam or air molecules. Instead of the dispersion through air droplets that inhalation provides, topical use is much more direct. But at the same time, the oil is absorbed through the barrier layers of skin, while inhalation moves quickly through the thinner mucous membranes. Knowing how to use essential oils and the goal(s) you have in mind can help you determine which application is more appropriate. 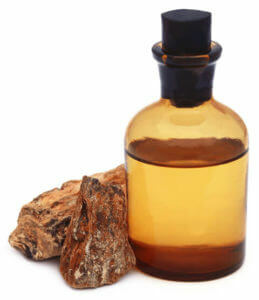 In theory and in professional practice, some essential oils can be used on the skin undiluted. However, the safest application is via dilution. Carrier oils like olive, coconut, jojoba and avocado oils usually have benefits of their own. In most cases you can easily combine a couple of drops in a teaspoon to dilute the oils and bypass potential irritation. Finally, and most controversially, some oils are safe for ingestion. The most basic form of ingestion is in culinary use. 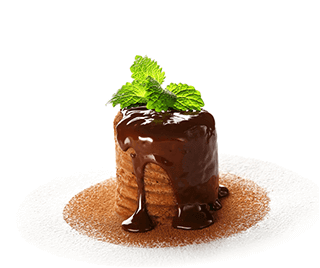 Revisiting cinnamon, you could use cinnamon essential oil in a cake batter, but you’d only need one drop for the whole batch vs. a tsp or more of the bark powder. Another common internal preparation is to combine it into a drink. Do remember that oil and water do not mix, so simply adding a drop to water will leave that drop undiluted. Some oils are irritants and all oils are very concentrated, so it’s best to learn how to use essential oils the right way, be safe, dilute it into an edible carrier oil first. The best essential oils for healing are comprised of a complex network of molecules that each carry different effects to the body. Their power to beat disease is so effective that, under the supervision of a natural health expert and aromatherapist, you may be able to avoid the having to use needless drugs or have unnecessary surgeries. The list is long, but after careful research I’ve narrowed the top 10 best essential oils that can help you the most! Q. Is Dr. Z's Essential Oils Club a MLM or network marketing opportunity? A. No. 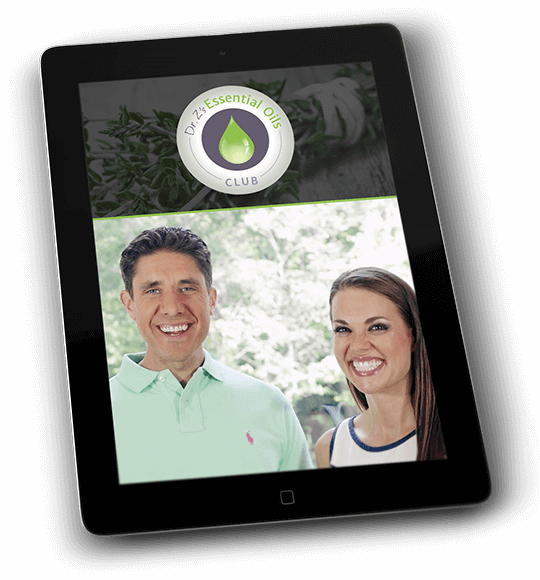 Dr. Z’s EO Club is non-branded educational platform designed to help you use essential oils the right way. Q. What essential oils does Dr. Z promote/use? A. Dr. Z is strictly non-branded and does not promote one brand over another. 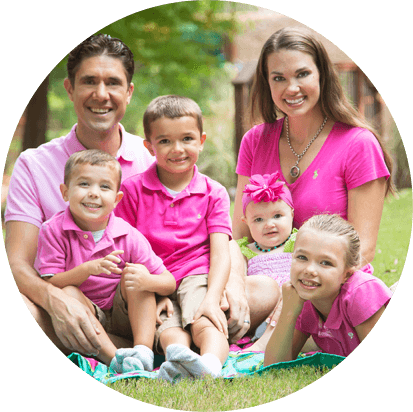 Dr. Z and his family enjoy oils from several brands that all sell pure products. Q. What qualifies Dr. Z to host this program? A. Dr. Z is a trained public health researcher, aromatherapist and licensed primary care physician who has devoted his life to the study of natural therapies. He is one of few globally-recognized essential oil educators. A. The intent of Dr. Z’s Inner Circle is to empower people how to use essential oils safely & effectively. Dr. Z will act as your guide by providing evidence-based information in the form of articles, DIY recipes, eBooks, videos, PDF guides and more. Dr. Z will also conduct Q & A’s and will monitor the private Inner Circle Facebook community to help answer your questions. A. No. Dr. Z and Dr. Z’s Essential Oils Club Inner Circle do NOT offer specific, step-by-step guidelines to prevent or treat disease. Dr. Z is legally prohibited to provide virtual medical advice to individuals. His Inner Circle is a great place to learn from your peers and he helps facilitate conversations in the private Facebook community page. The information shared in the club will help set the groundwork for you to make educated decisions with your natural health care provider about how to potentially use essential oils to prevent or treat disease. Always consult your physician before using essential oils. Q. What do I get when I sign up for Dr. Z's Essential Oils Club Inner Cirlce membership program? A. You get instant DIGITAL access to all of Dr. Z’s articles, healing recipes, Mama Z’s DIY tips, demo videos, expert interviews, PDF downloads, use guides and eBooks that are included in his Essential Oils Club. As long as you are a subscriber, you will have unlimited access to all of the information available in the club. A. Dr. Z’s Inner Circle is backed by A No-Questions-Asked 30-Day Money Back Guarantee. If at any time during the next month you decide Dr. Z’s Essential Oils Club Inner Circle is not the best program for you, simply contact our support team at Support@DrEricZ.com, and we’ll give you a 100% refund. I’ll teach you all about using these (and dozens more!) in my Essential Oils Club Inner Circle, so be sure to join today! This is why we have devoted to serving the world with as much free content as possible online. This is also why we have kept the price of Dr. Z’s Essential Oils Club as cost-effective as possible. We hope you join our essential oil training, and we look forward to seeing you in our private Members Only Facebook group and during our monthly Q & As.